Product prices and availability are accurate as of 2019-04-18 01:20:25 EDT and are subject to change. Any price and availability information displayed on http://www.amazon.com/ at the time of purchase will apply to the purchase of this product. 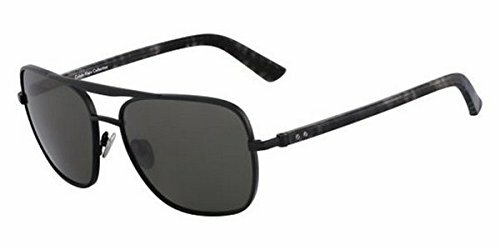 Calvin Klein Sunglasses CK7380 001 Black Dark Grey are a striking pair of aviator style sunglasses with a nice mix of metal front pilot shaped frame and plastic arms with horn or marbled effect finish.